Mensusa https://www.mensusa.com/articles/the-turquoise-dress-shirt-is-a-unique-choice-for-trendy-men.html The Turquoise Dress Shirt Is A Unique Choice For Trendy Men A well-fitted dress shirt and matching accessories is the last word for an individual's complete look. If your favorite shirt is a turquoise dress shirt, wear a matching blue tuxedo jacket or a sequin tuxedo jacket that goes well with it and flaunt your sophistication and style. A dress shirt is an essential element of the attire. Most men are obsessed with selecting the appropriate dress shirt especially on special occasions and professional meets. Hence a style-conscious man owns quite a few sophisticated dress shirts in his wardrobe. Blue color is a common one as it is versatile and matches with almost all shades of jackets, etc. But when you choose to wear your favorite turquoise dress shirt, you must be selective regarding your jackets and trousers. It is needless to say that your dress shirt must fit you well but matching tuxedos with your turquoise dress shirt must be perfect if you want to stand out from the crowd. 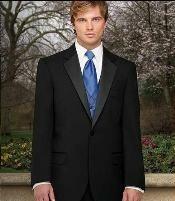 A midnight blue tuxedo jacket or a black sequin tuxedo jacket will be the best option. Visit MensUSA for the appropriate one. A blue suit has always been the first choice of sophisticated men around the world. The versatility of the blue shade gives you the opportunity of dressing up in style wherever you go. It does not matter what you wear, a blue suit or a blue tuxedo jacket. It will create a sophisticated look to flaunt your dignified air. A blue tuxedo jacket, whether the navy blue or the midnight blue shade, matches with all shades of dress shirts. Choohttps://www.mensusa.com/images/thumbnail/Ferrecci-Mens-Slim-Fit-Shiny-Silver-Sharkskin-Suit-19067.Jpgse your accessories right and you will be successful in establishing your own style statement on all occasions. 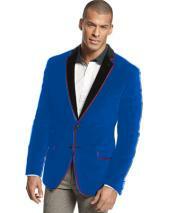 A blue tuxedo jacket is a must-have ensemble in a sophisticated man's wardrobe. A tuxedo suit is a fashionable attire that is most appropriate for semi-formal events. The most common colors in tuxedo suits are the black, white and blues. But if you want to wear a distinct look and draw the attention of all around, the best option will be a silver tuxedo. The shine and luxurious look of a silver tuxedo offers a graceful look to whoever wears it. You can visit MensUSA for the trendiest designs and features in silver tuxedo range. You will find the 3 button, single breasted front open tuxedo jackets with satin lapels and pockets of various sizes, get the perfect fit to turn the heads of all at the gathering. When you wish to be the hero in a gathering, visit MensUSA and pick out the trendiest slim fit tuxedo to flaunt your well-built physique. When you attend a prom party or a wedding reception, the best attire that makes you look different from others is a slim fit tuxedo. The designer suits are exclusive in designs and features that they naturally create a unique smart look to the wearer. However, you need to carry yourself well to maintain your dignity and personality. A scintillating sequin tuxedo jacket is an amazing accessory that creates a flashy look. 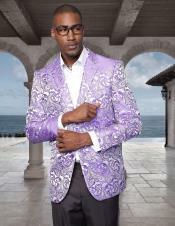 These jackets are mostly light-weight and of the finest materials that allows the sequin work to look more prominent. The sequin tuxedo jacket has been a favorite of rock stars starting from the 70s till date. At MensUSA you will get the most attractive variety of these designer sequin tuxedo jacket that will surely satisfy your requirements.